Services are limited in Louisiana’s Outback so we want to make sure you know where each and every one is. 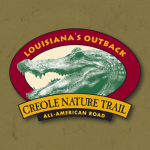 Whether you need a restaurant or a restroom, a gas station or accommodation, simply click on one of the categories to your left for all available services along the Creole Nature Trail. A FREE personal tour app is also available in iTunes and Google Play (just search "creole".) App is available in English, French, Spanish, German, Mandarin Chinese and Japanese.